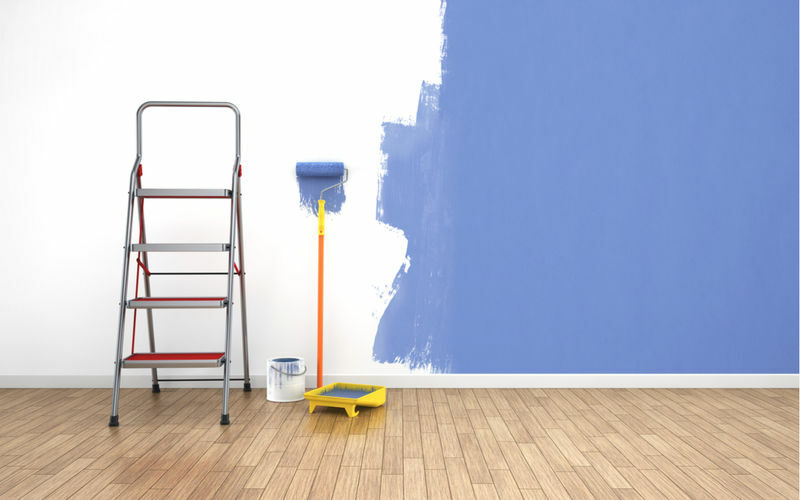 Gutting the floor and re-tiling the bathroom can give your rental a facelift, but these projects come with a hefty price tag. Before you take on expensive, time-consuming projects, inspect your property to determine what can be fixed or repaired. If you do want to replace a few things, choose the little things that can make a big difference. Give your bathroom a new look by replacing old sink fixtures or bring new life to your kitchen by fixing or repainting cabinets. Whether you need to fix something that’s not working or want to change the look and feel of a room, do your budget a favor and find opportunities to repair before you replace. Whether you have long-term renters or are looking for new tenants, a little landscaping work can go a long way. The exterior is the first thing your tenants see when they drive up, so spend some time on some easy but impactful projects. Plant seasonal flowers or perennials, or get creative and build planters with items you already have, like wine crates or barrels. Another simple, inexpensive option is to build a walkway using stepping stones, gravel or mulch. Step stones require minimal digging and are cost effective since you don’t need as many to cover a stretch of your lawn. No matter what materials you use, this is a DIY project you can knock out over the weekend. Your windows can improve the exterior look of your rental and can also influence your tenant’s interior experience. Whether you want to keep pesky bugs out, reduce sun and glare or increase privacy, window modifications can give your rental an upgraded look and feel. If you’re not sure which type of window screens you need, use this window-screening quiz to determine the best option for the size of your property, your location and your specific needs. A fresh coat of paint can liven up any room, and the best part is, the possibilities are endless! You can simply touch up the walls with the current color, or pick out a brand new shade. Just keep in mind, if you change the color, you may also want to change the decor or furniture to match. You may not want to paint every room, but you can prioritize the ones that need some retouching. If you plan to paint multiple rooms, tackle one room at a time to reduce your costs and make the task less intimidating. Your light fixtures may not be the highest priority on your rental upgrade list, but new light fixtures can change the vibe of the whole place. Whether you’re going for vintage or new age, you can find light fixtures on sale online or at your local hardware store. If you’re electrically-savvy, you can install light fixtures yourself. If you’d prefer to hire a professional, find a handyman, which will be much less expensive than hiring an electrician. Light fixtures are little accents that can make a big difference for new or current tenants. What upgrades are you making to your rental property this year? Whether you’re hiring a contractor or doing it yourself, we want to hear from you! Let us know about your renovation projects in the comments below! Maile Timon is a freelance writer and content editor. She writes articles on health and fitness, lifestyle and family, home improvement and more. Maile earned her Bachelor's in Broadcast Journalism from Chapman University. When she's not writing, she enjoys hiking in San Diego, CA.